(TibetanReview.net, Sep19, 2018) – China’s official media has claimed Sep 17 that Beijing’s severe criticism of the Swedish police and demand for apology for the latter’s allegedly brutal treatment of three Chinese tourists was not linked to the recent visit of the Dalai Lama to Sweden. But it did strongly criticize Sweden for allowing the visit. The tourist incident had occurred on Sep 2, the Dalai Lama visited Sweden on Sep 12 and China’s criticism came on Sep 15. These time intervals triggered speculation that China was using the incident to vent anger at Sweden over the Dalai Lama’s visit. An op-ed carried by globaltimes.cn called this a groundless claim. Nevertheless, the report did claim that the Dalai Lama’s visit was exploited by the Swedish media “to slander China’s human rights”. It criticized TT News Agency, the Swedish wire service, for saying that Tibetan people were discriminated against and could not have Tibetan language education or talk freely about politics and religion. Speaking to Swedish media, the hostel owner has defended the measures taken against the family, saying that the three individuals had arrived hours before their booking and became verbally abusive after being denied access to a room. “We only know that we have done everything we could do for this guest, but at the same time we cannot accept that our staff are exposed to threats and that other guests will suffer from a threatening situation,” the hostel manager was quoted as saying by Swedish daily Aftonbladet. But the family’s son has told Chinese media that the hostel refused his request to let his mother and father to stay in the lobby as they were waiting for a room to become available, reported the Washington Post Sep 17. He has claimed to have made the hostel aware of his parents’ fragile health but that they were still ejected from the building by arriving police officers. “We all need to extend sympathy to the tourists for their unfortunate experience. 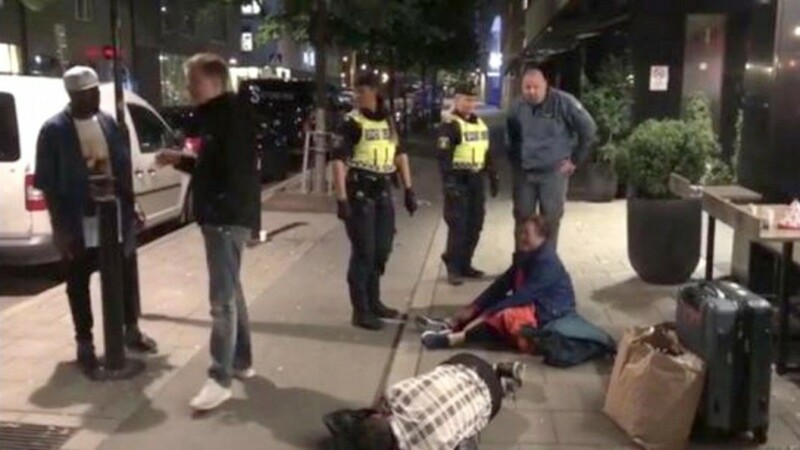 But so far we have heard not a single word of apology from the Swedish police, which we find shocking and hard to understand,” China’s ambassador to Sweden, Gui Congyou, was quoted as saying in an interview. Beijing subsequently issued a safety alert for Chinese visitors to Sweden, the report said. The report said the strongly worded response may also have political motives, noting that Sweden and China have clashed over a number of human rights issues in recent months, including the previous week’s visit to Sweden by the exiled spiritual head of Tibet, the Dalai Lama. In Jan 2018, Chinese-born Swedish publisher Gui Minhai was detained in China while he was travelling with Swedish diplomats. He still has not been released.